The younger sister of Duchess Kate, who might give birth in as little as three months time, admitted in her column in Waitrose Weekend that she is still playing the sports. She also dishes the scoop that Serena Williams proved that it was safe to play the game well into pregnancy. The pregnant socialite also revealed that the tennis star showed that women can play a high level of tennis from two months up to eight months. She also included that a pregnant player had an option to distract opponents during a match. 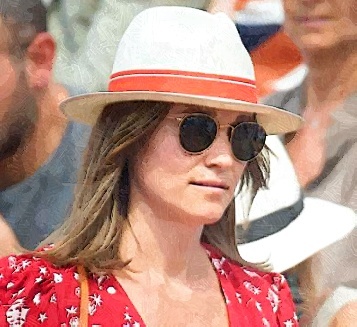 Meanwhile, Pippa was spotted in the stands at the French Open in Paris in May. She looked stunning while wearing a red Ralph Lauren print crepe wrap dress. The dress had ruched sleeves and chic mid-length hemline.